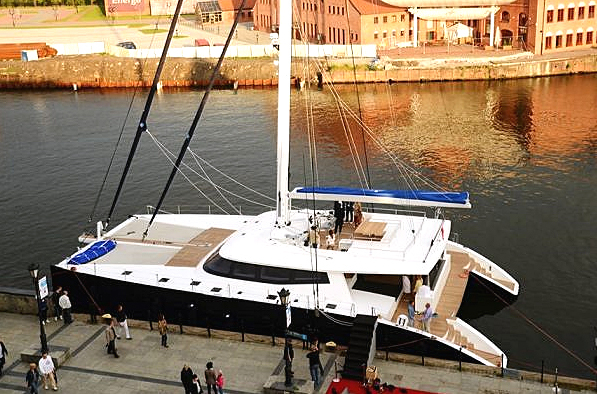 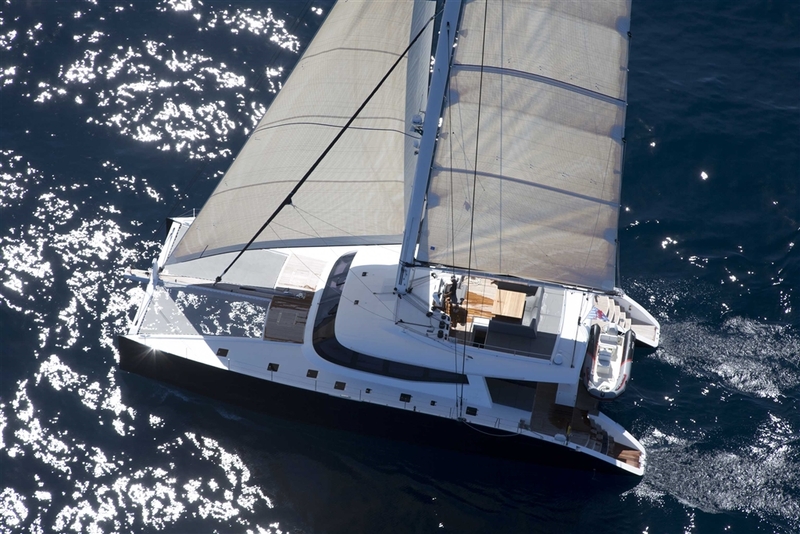 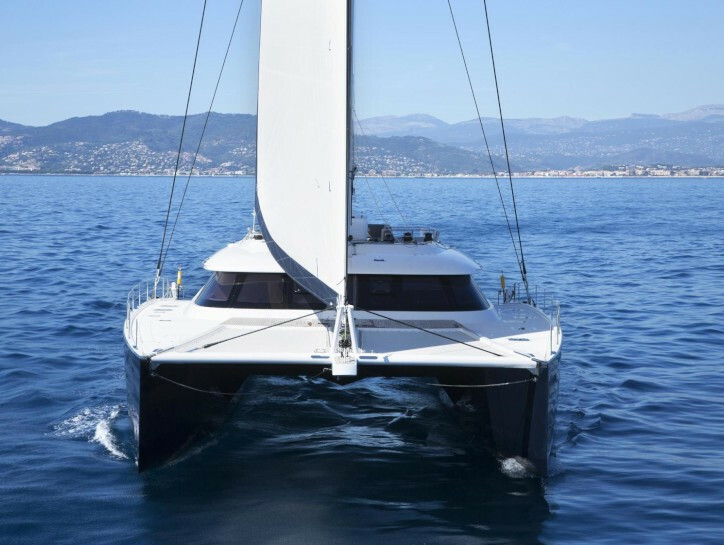 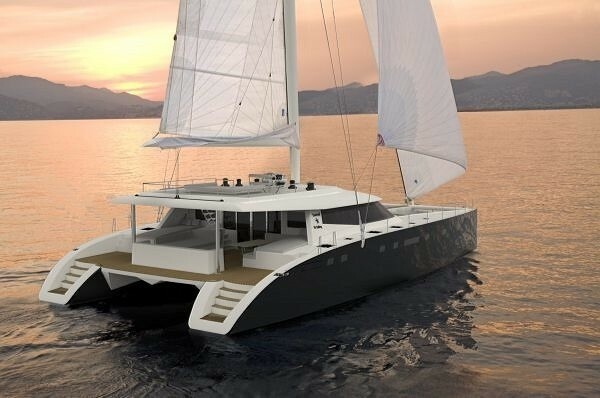 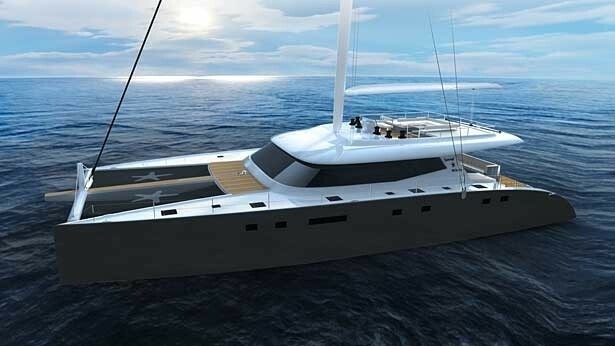 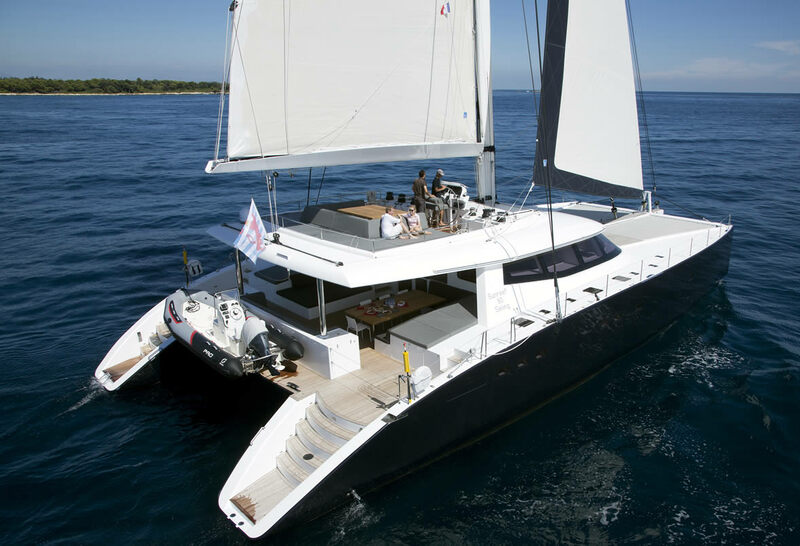 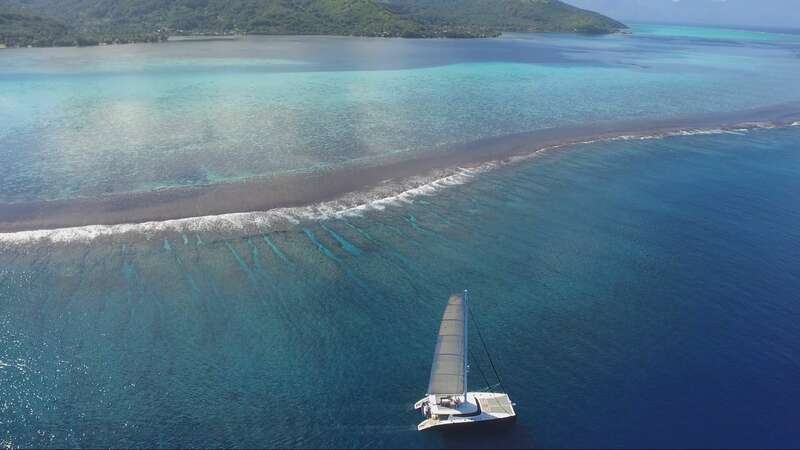 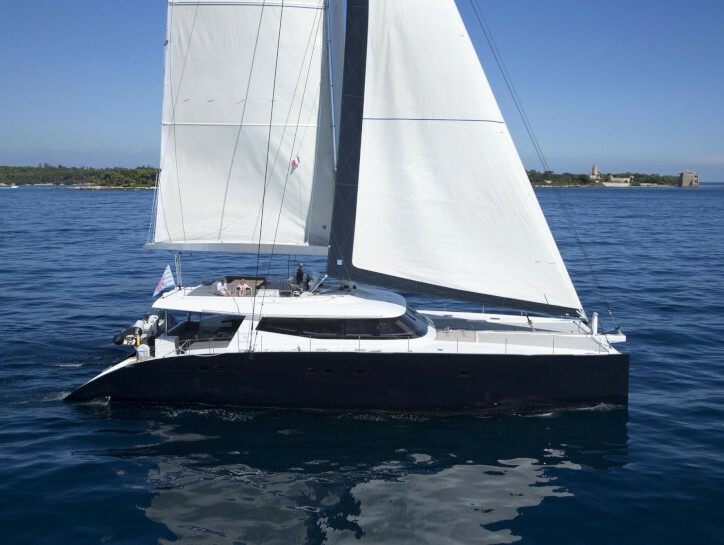 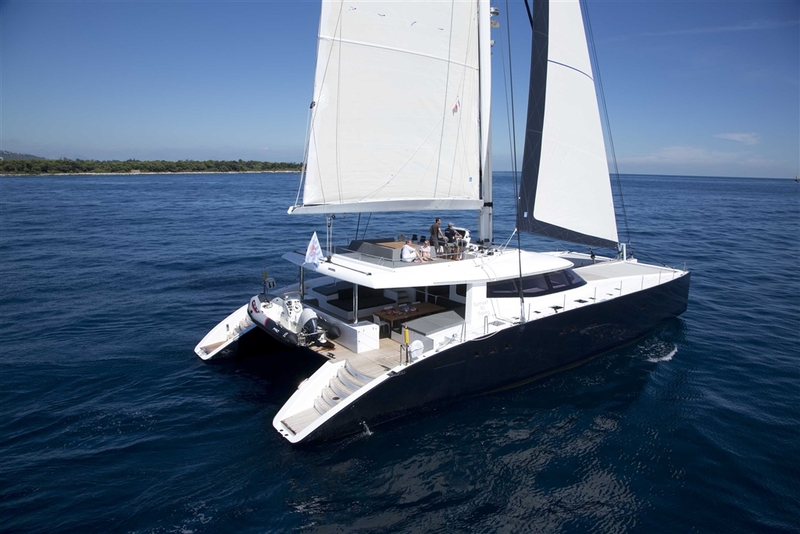 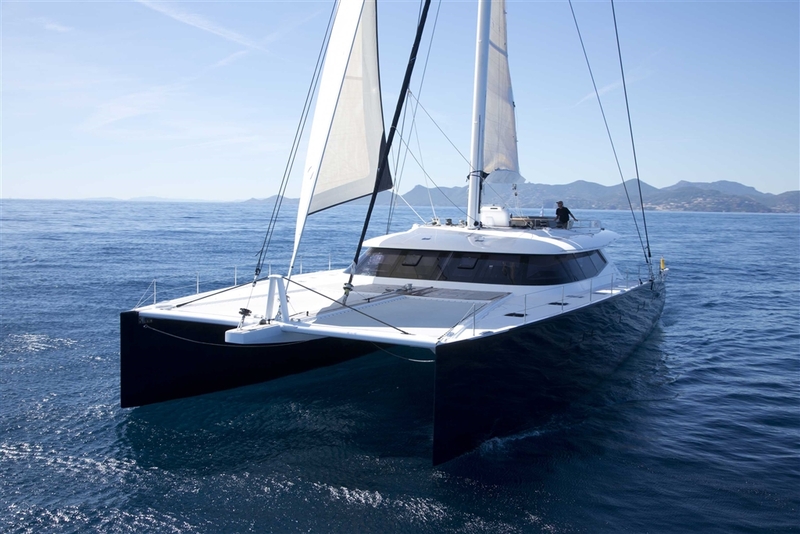 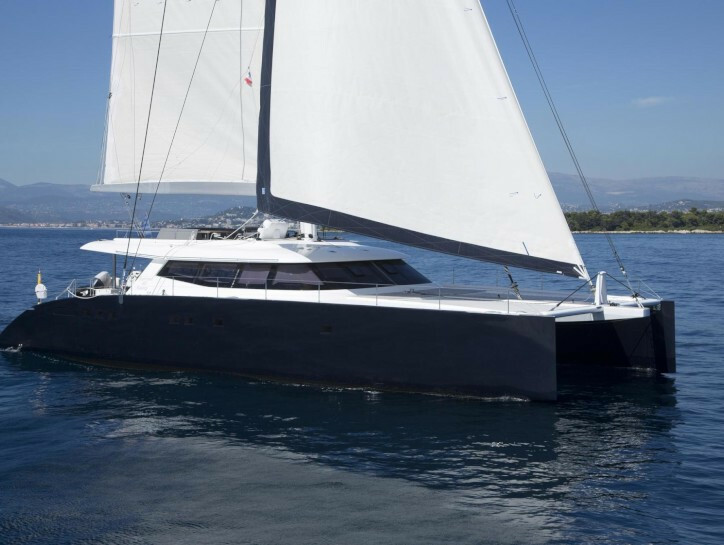 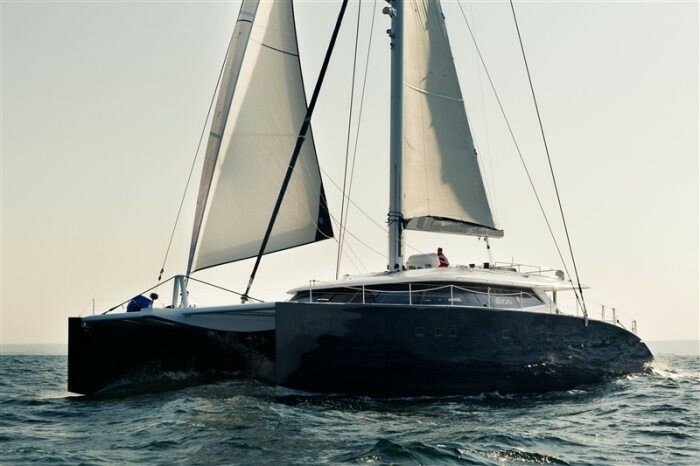 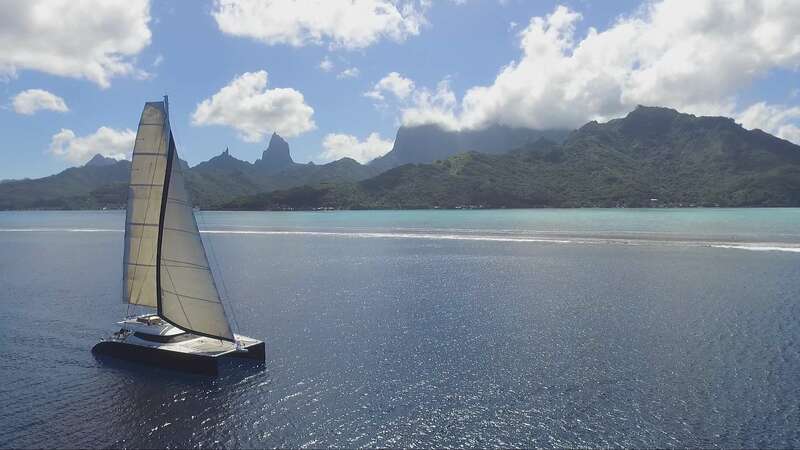 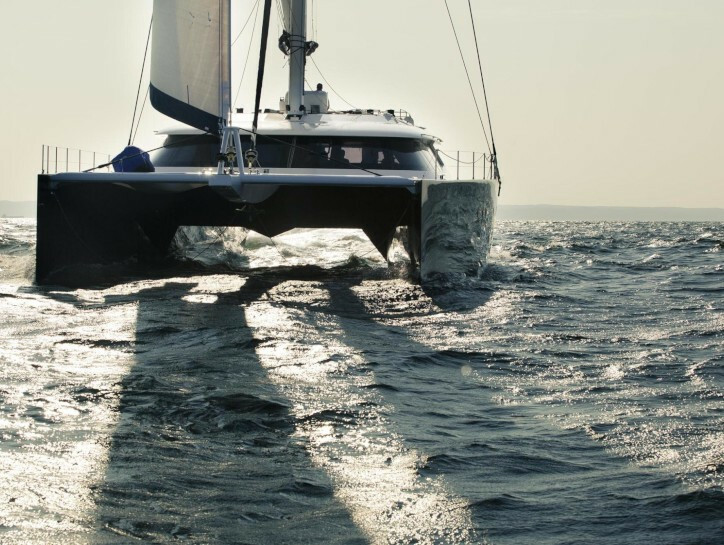 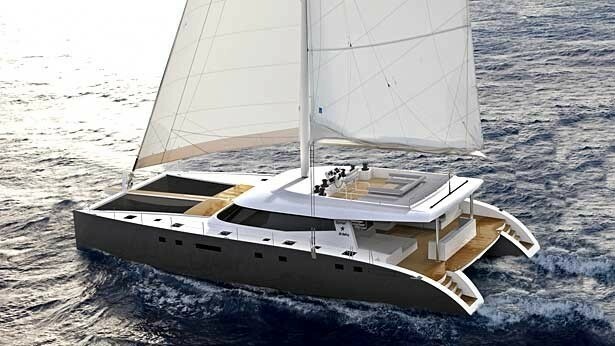 With launch in 2013, the 23.99m sailing yacht Levante is the first Sunreef Yachts' catamaran, belonging to the 80ft series Carbon Line. 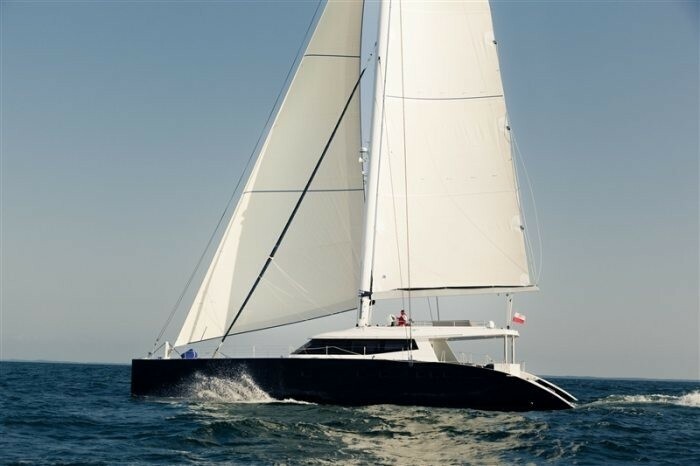 Designed and built by the prominent Polish shipyard, the Sunreef 80 superyacht Levante boasts sleek as well as sporty exterior lines. 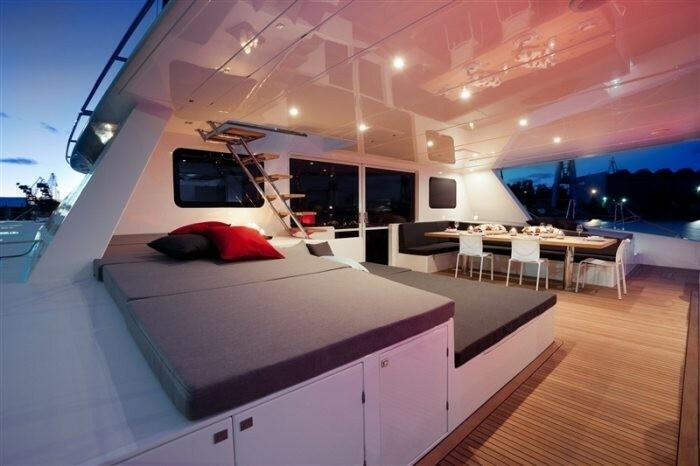 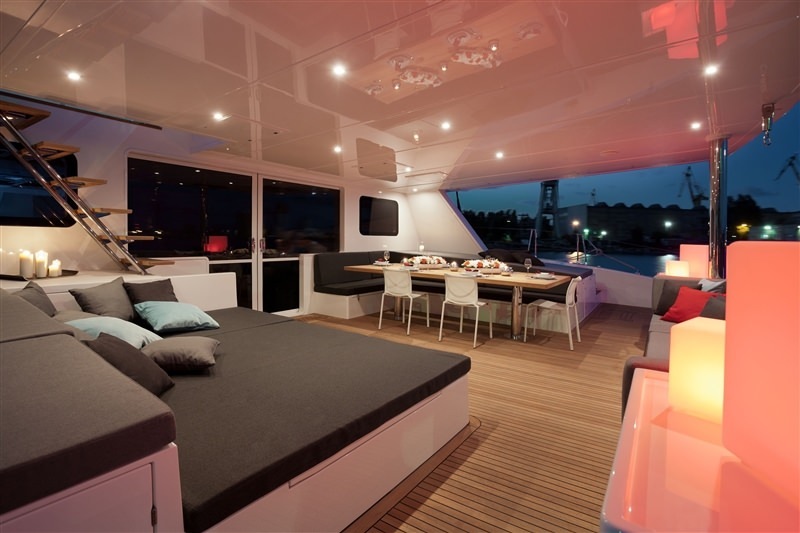 Luxury yacht Levante sleeps 10 charter guests and 4 crew in comfort. 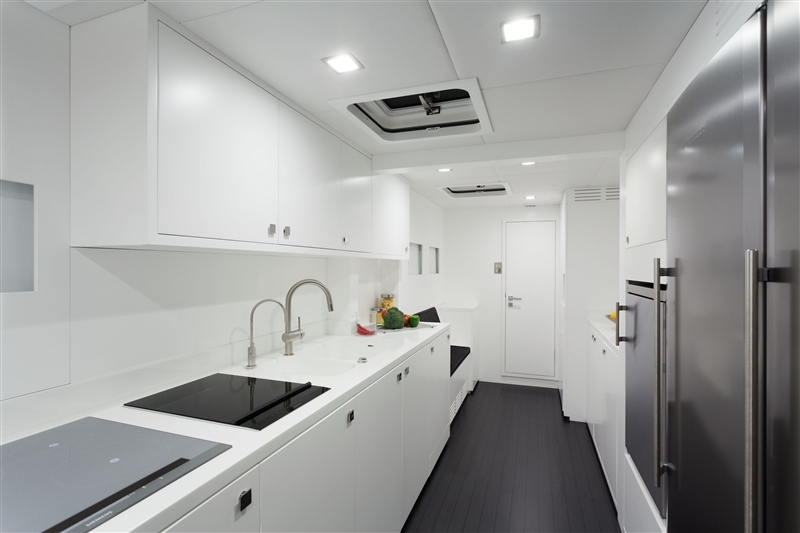 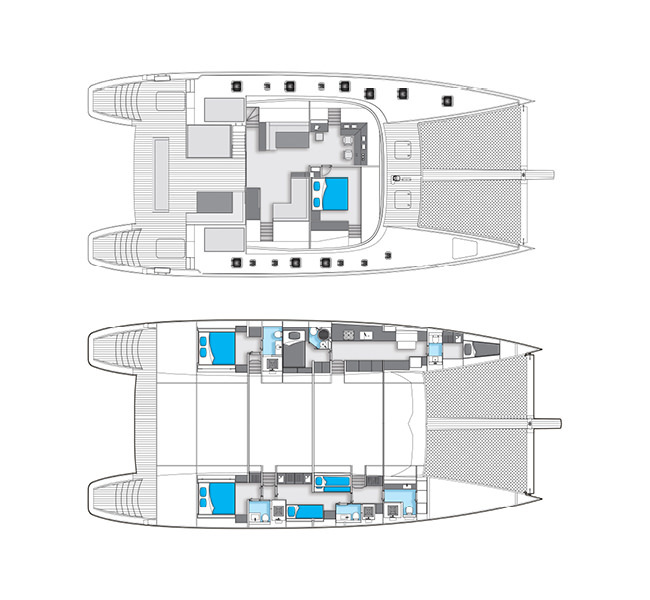 The portside hull includes one guest cabin with a bathroom, a fully equipped galley and 4 crew cabins. 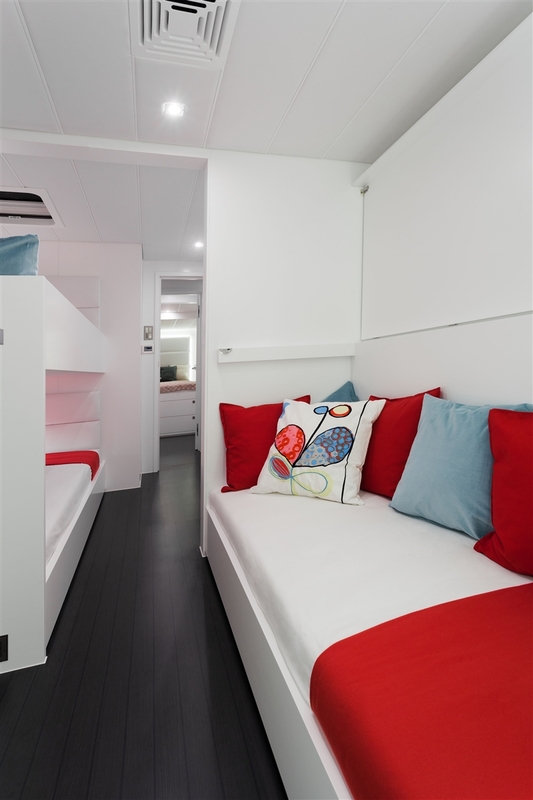 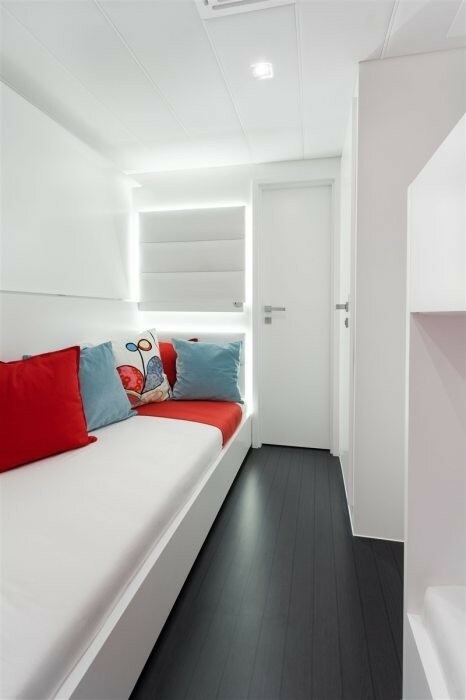 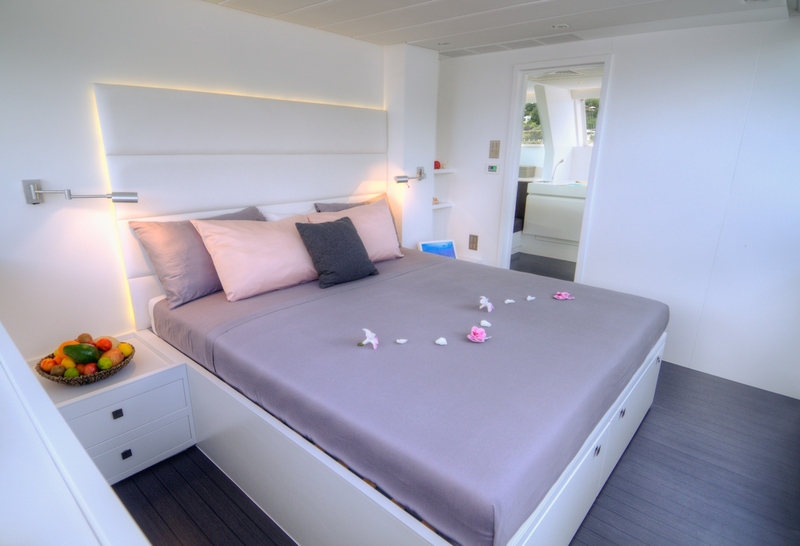 The starboard hull features one guest and one children’s cabin, both with private en-suite bathrooms, along with the owner’s dressing room and bathroom directly accessible from the master suite on the main deck. 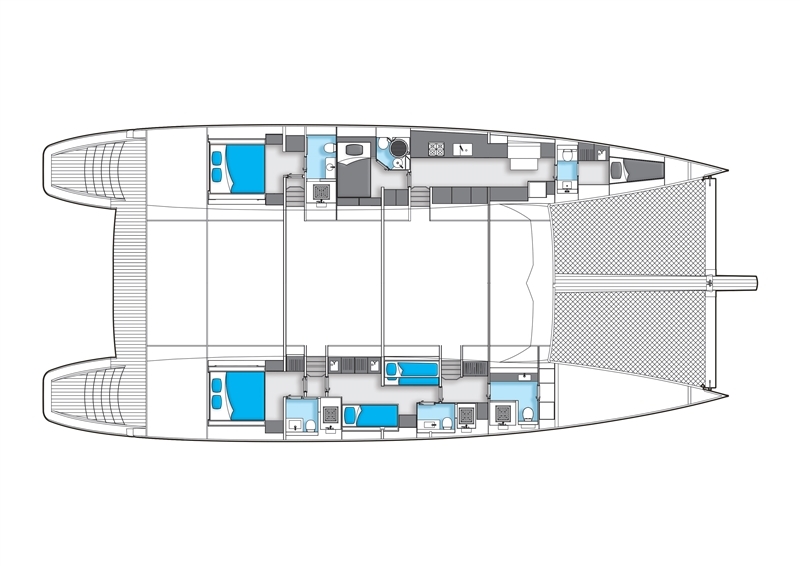 The internal cockpit comprises the navigation station, dining area, lounge zone and the owner suite on the front right. 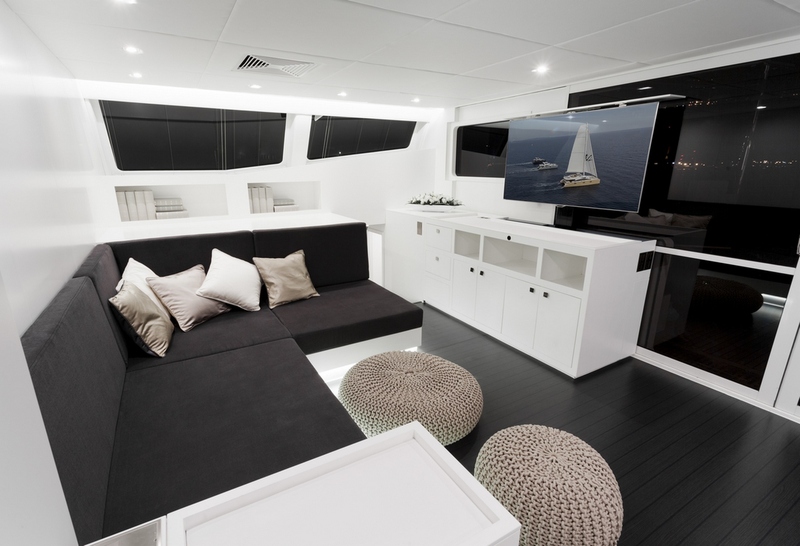 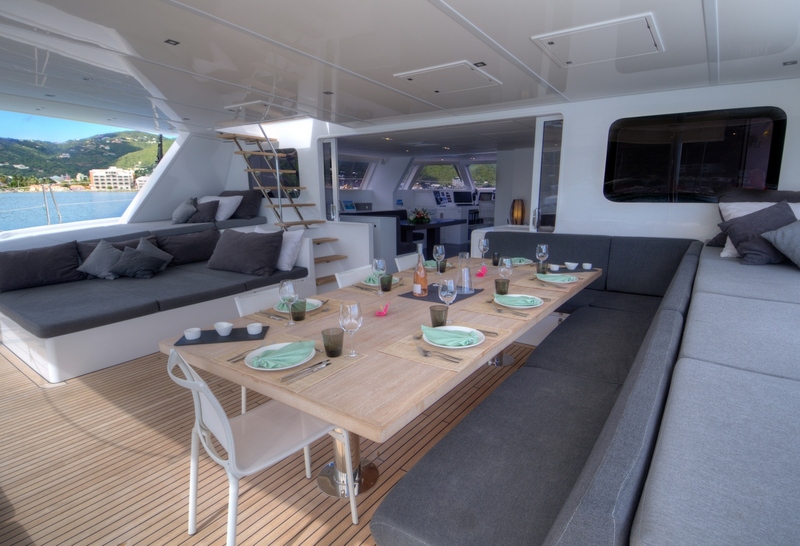 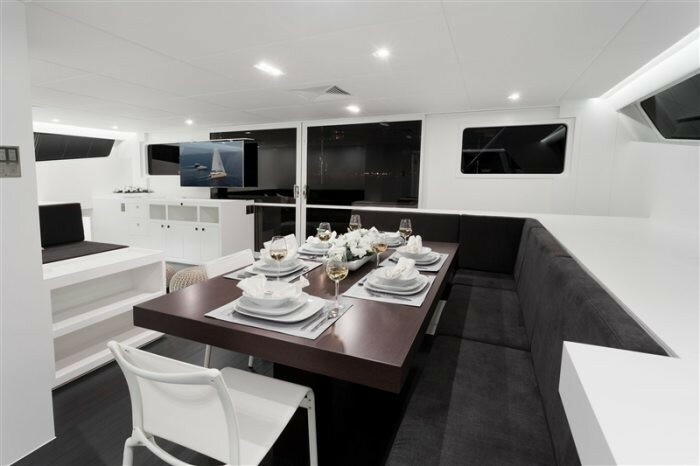 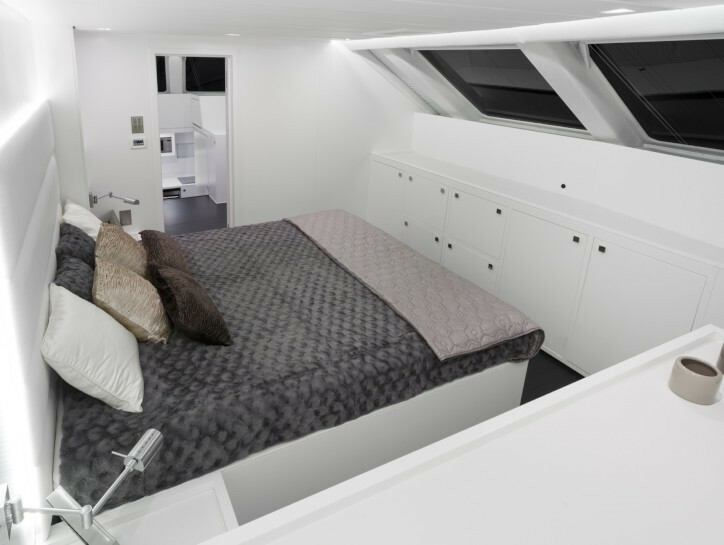 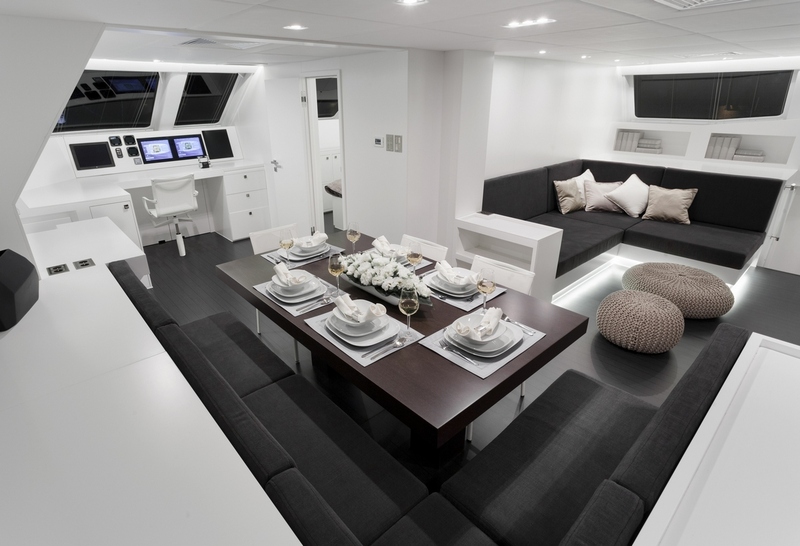 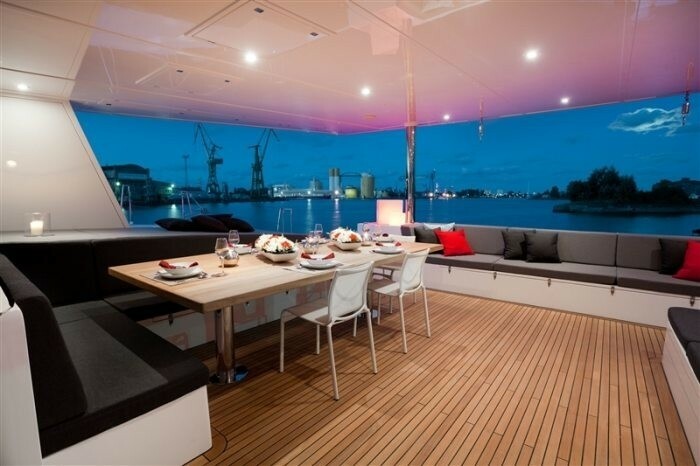 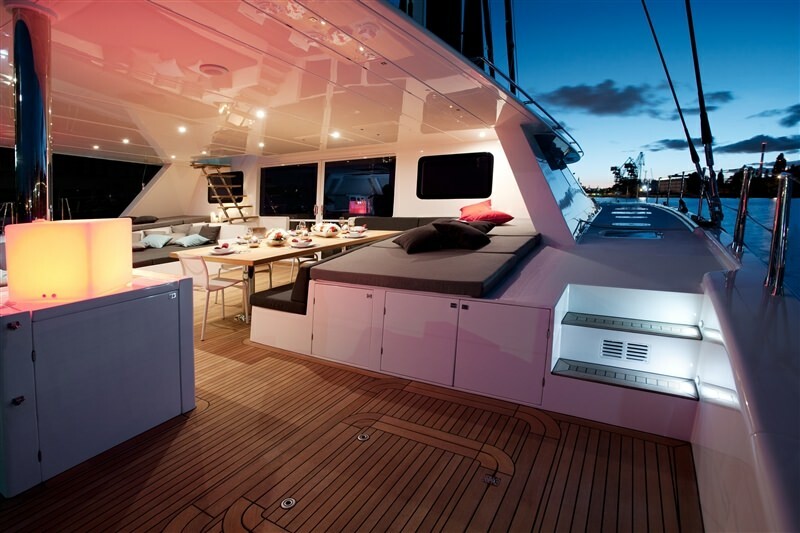 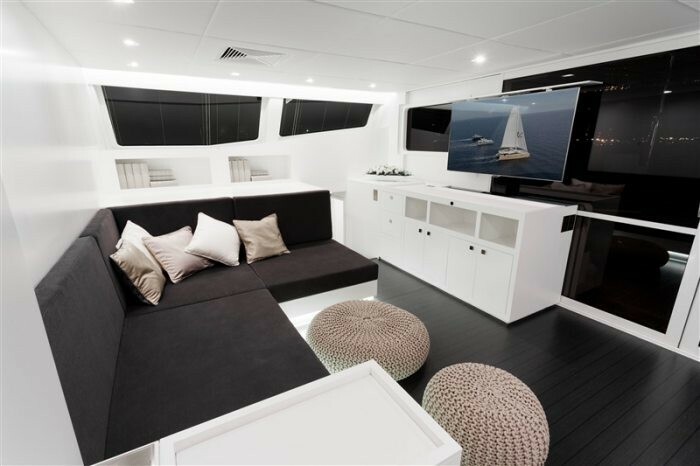 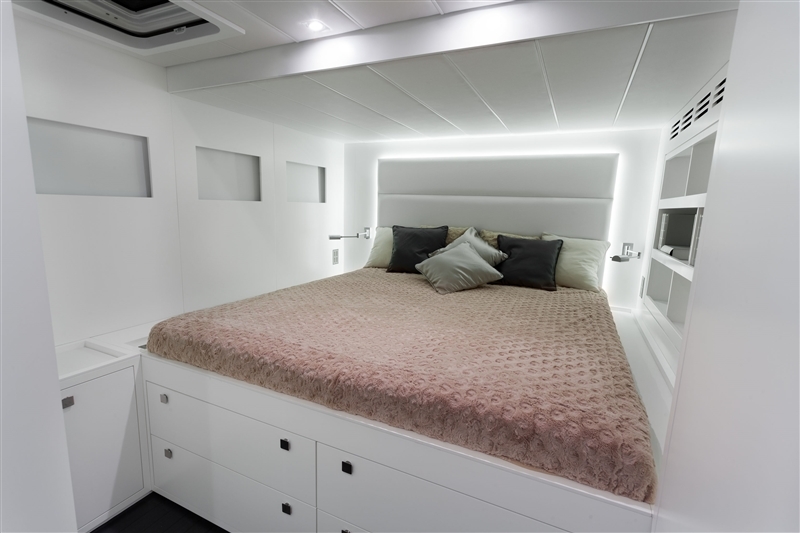 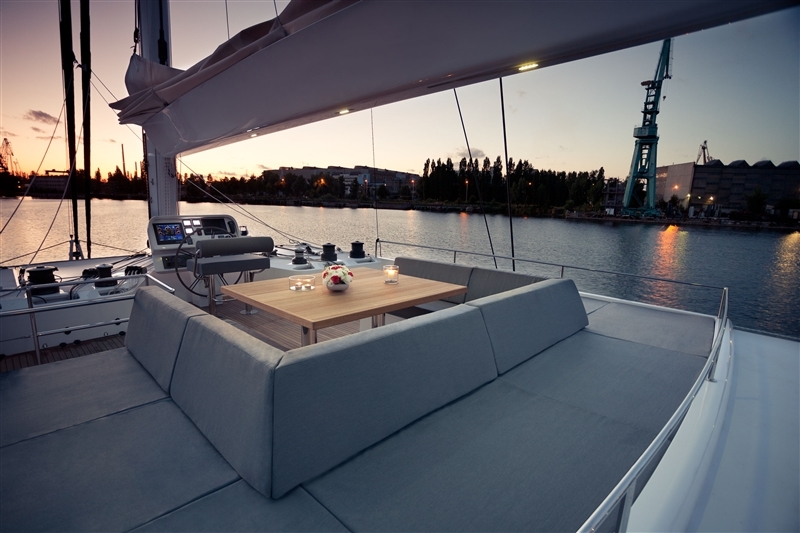 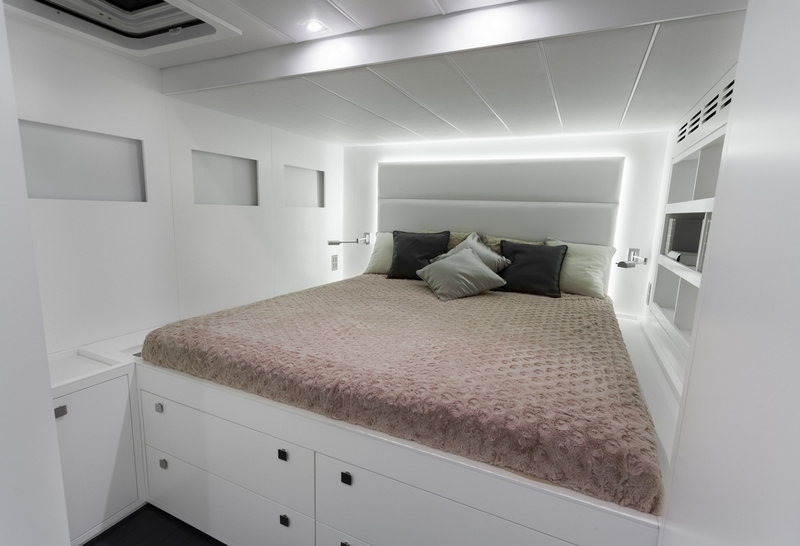 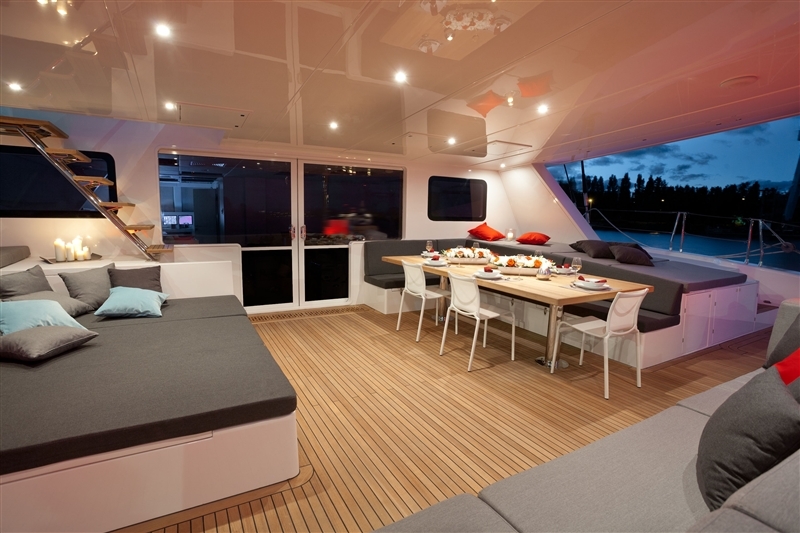 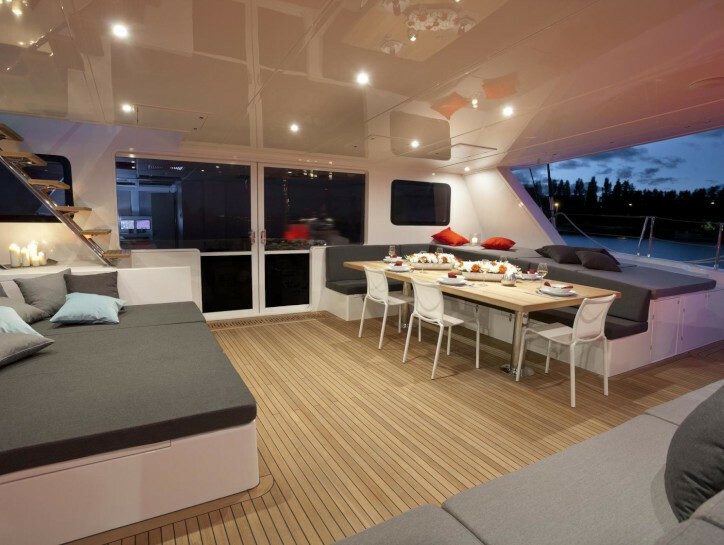 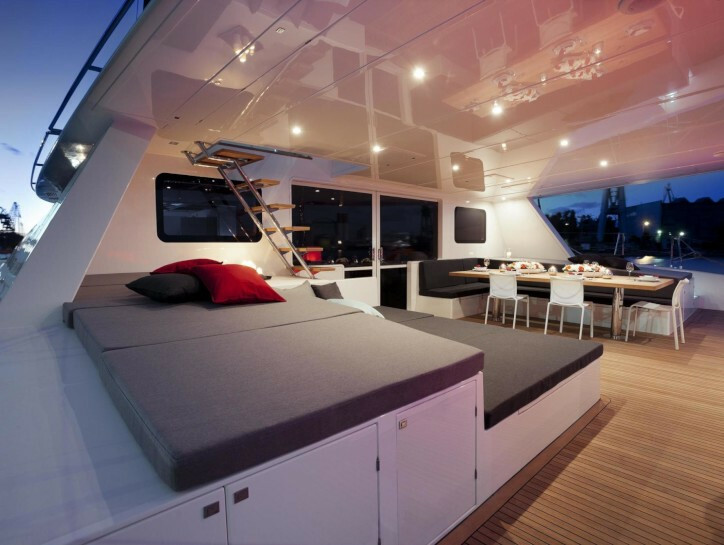 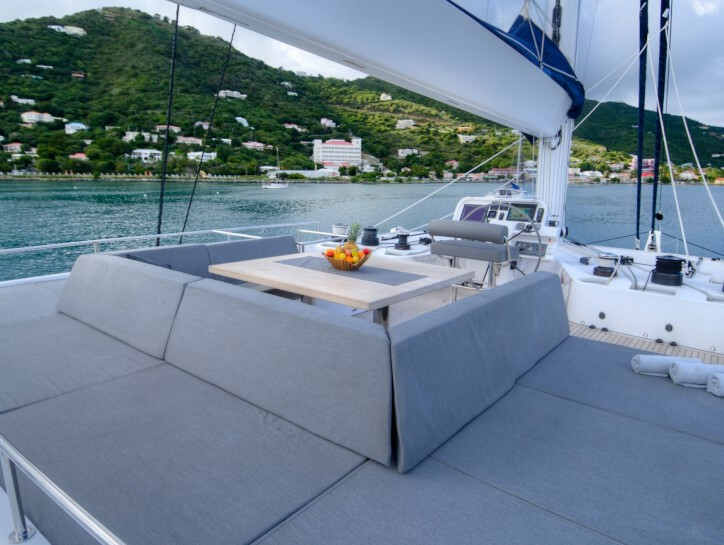 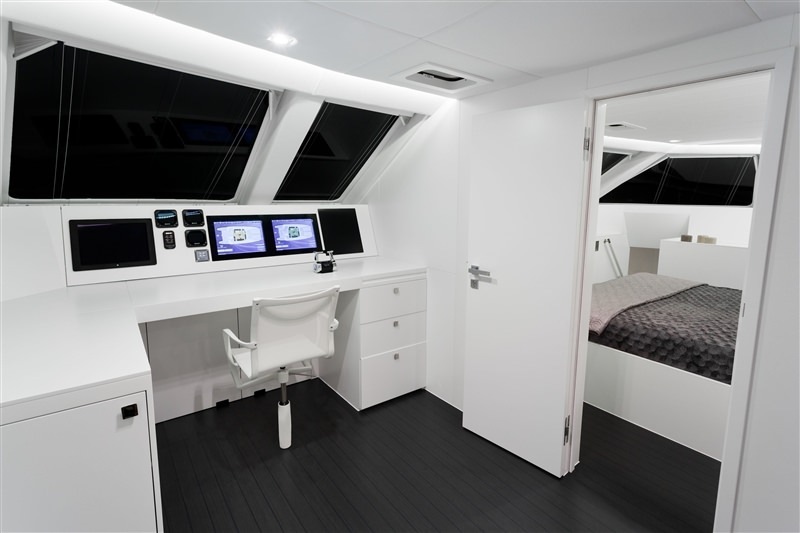 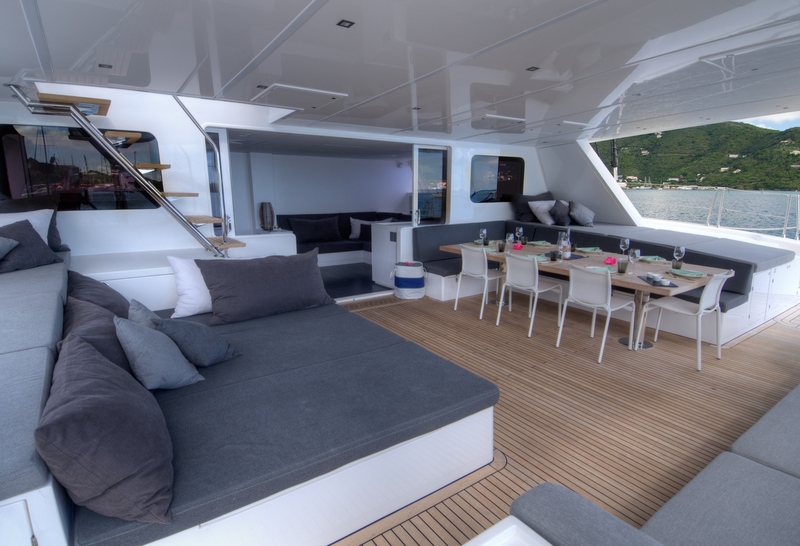 As in the case of all Sunreef catamarans, the cockpit and flybridge feature dining areas, sunbathing pads as well as extended storage. The interior design represents a modern and minimalist style based on white and grey colours with touches of a fresh mixture of strong, modern colors. 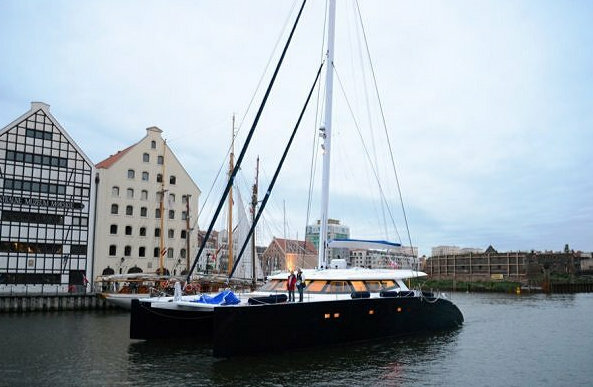 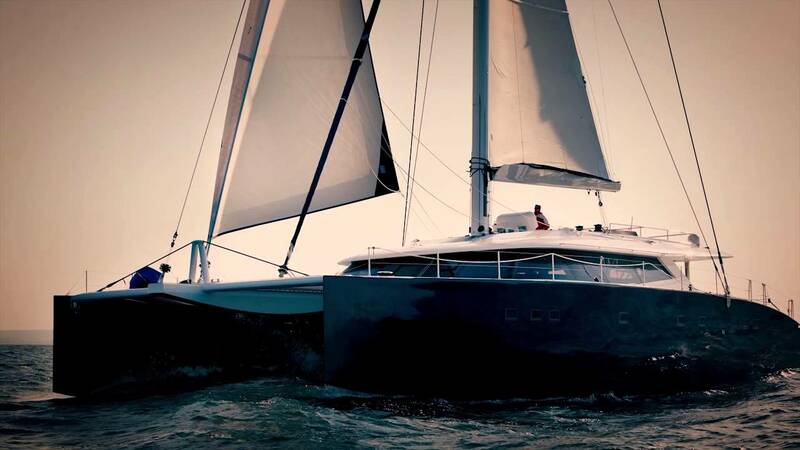 Made of an advanced composite sandwich combining vinylester, PVC foam and carbon/glass fibre, with a carbon mast and boom, standing rigging with Kevlar and total sail area of 340 m2, weighing just 45T lightship and 60T fully loaded, the 23.99m superyacht Levante is run by twin 240 CV YANMAR engines. 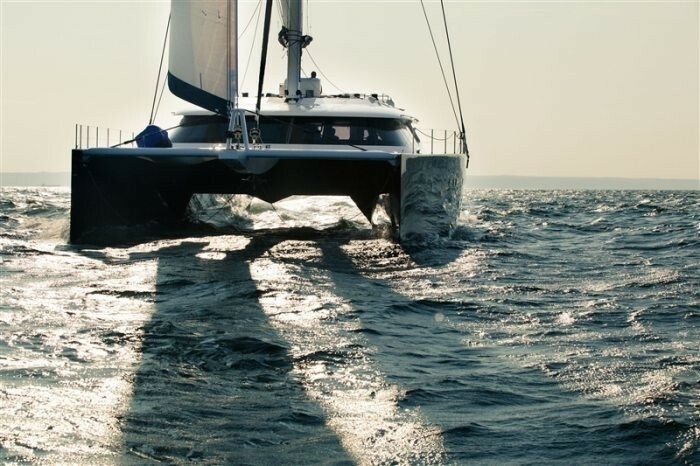 Her maximum beam is of 11.6m (38'06''), while her draught is of 1.8m (5'91''). 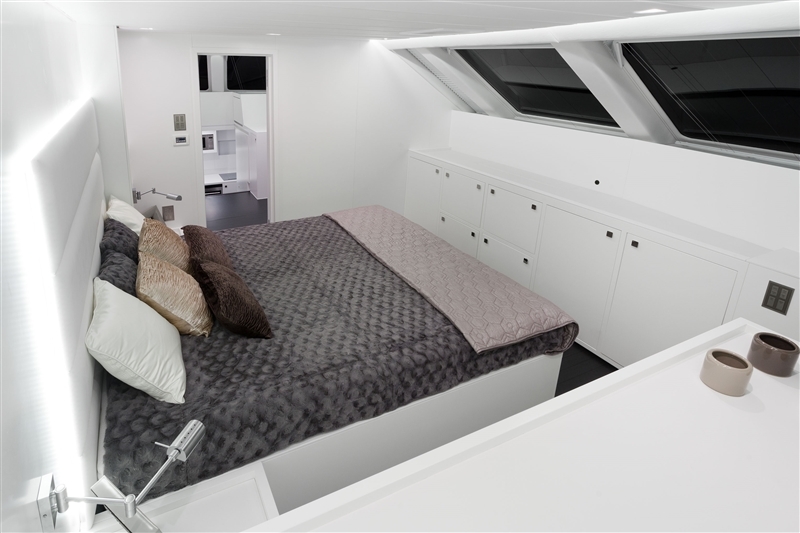 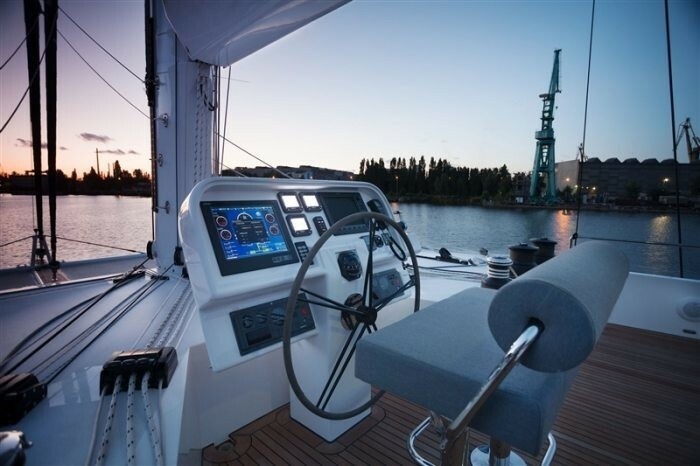 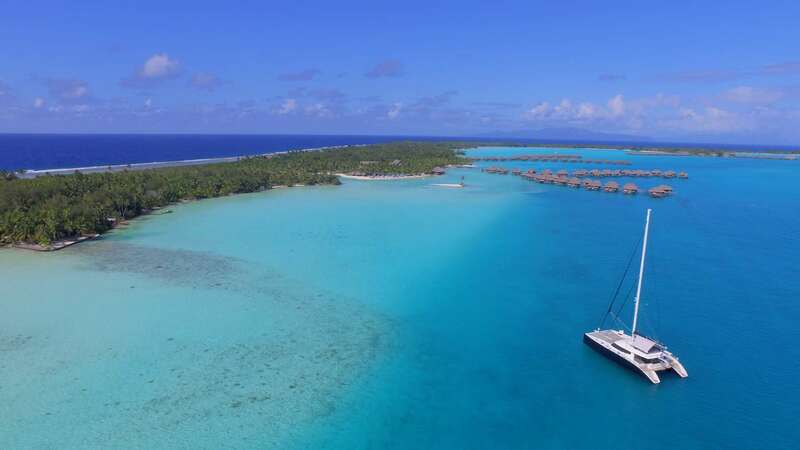 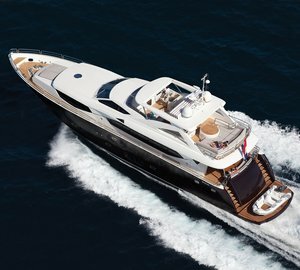 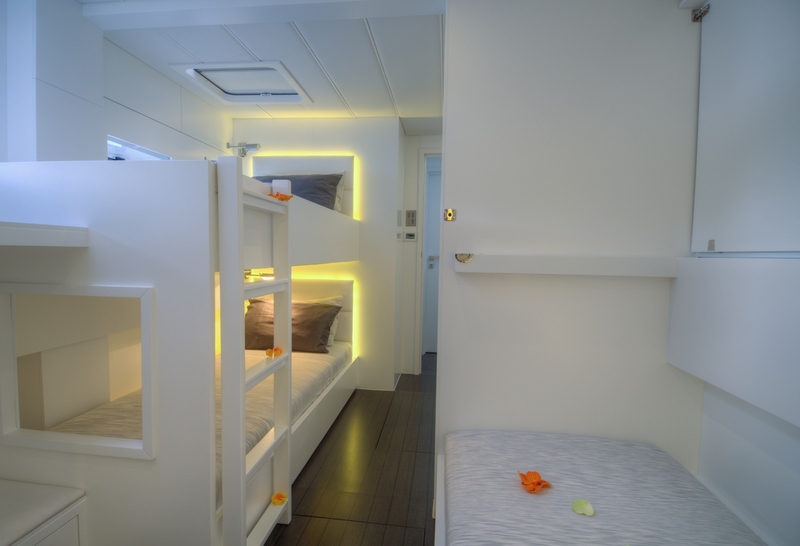 Luxury yacht Levante provides luxurious accommodation in two double cabins located in the forward section, two double cabins in the starboard hull, as well as one double and one bunk-bed cabin, which can be found in the port hull. 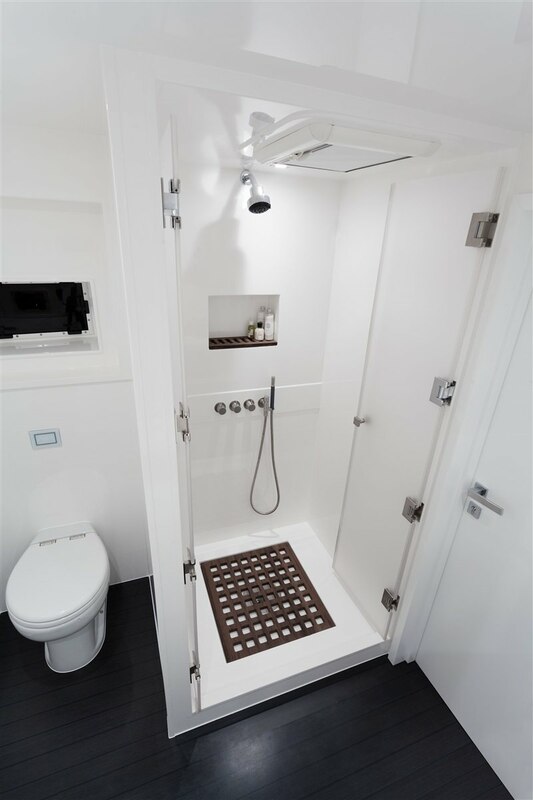 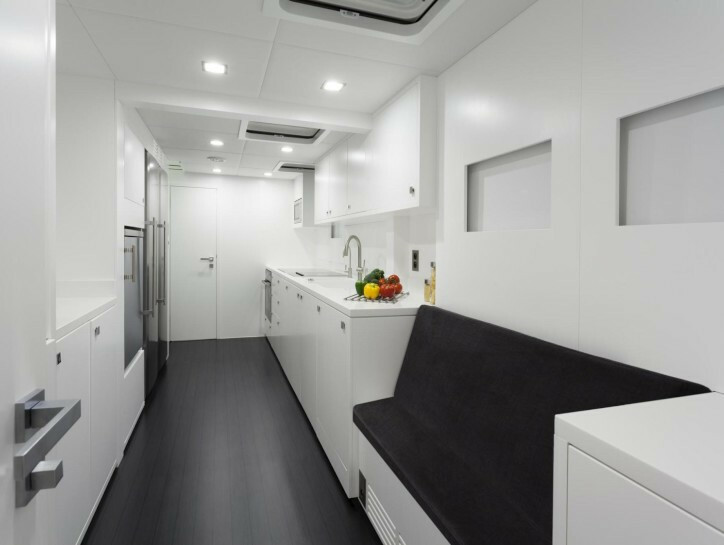 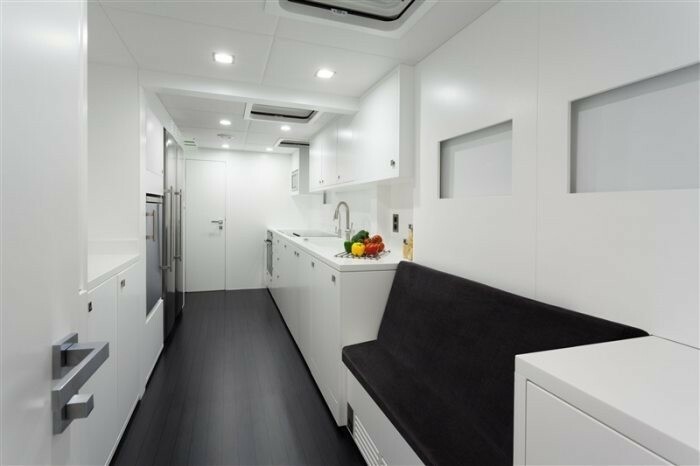 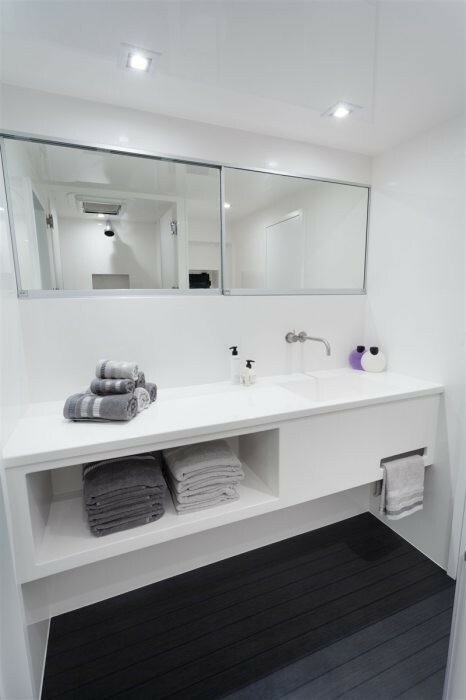 All cabins feature private bathrooms and abundant storage. 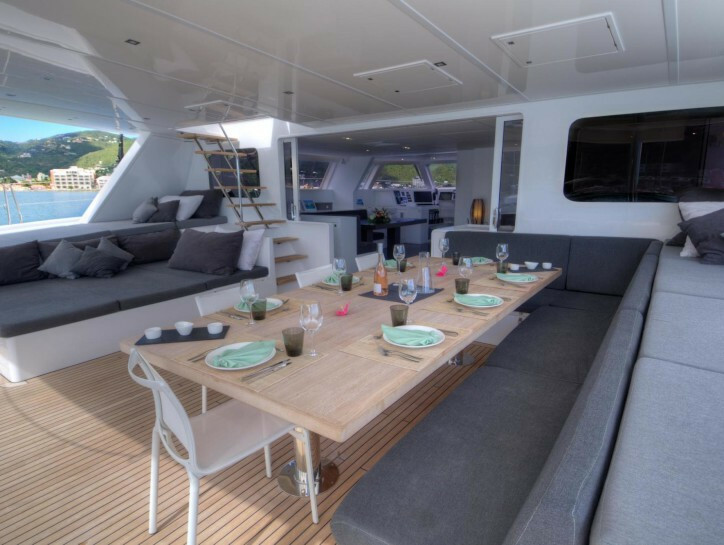 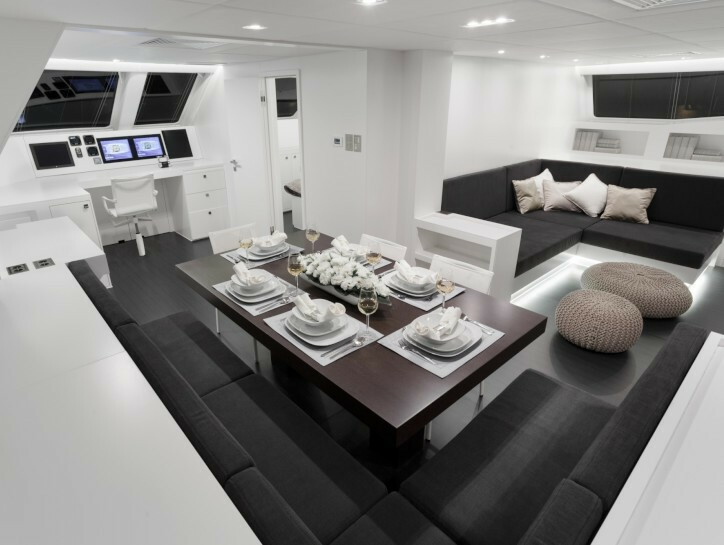 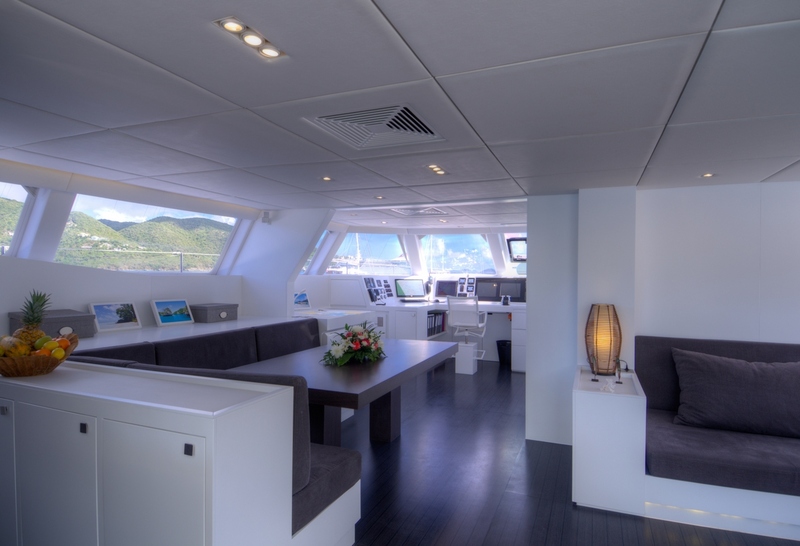 The interior of the main deck offers the galley and a dining area, while a mezzanine floor located in the midship boasts the internal helm station and lounge, providing access to the forward guest cabins and the flybridge. 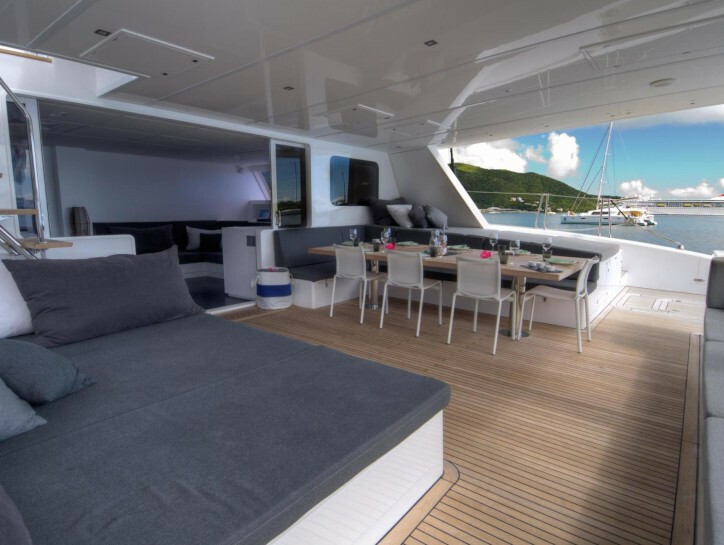 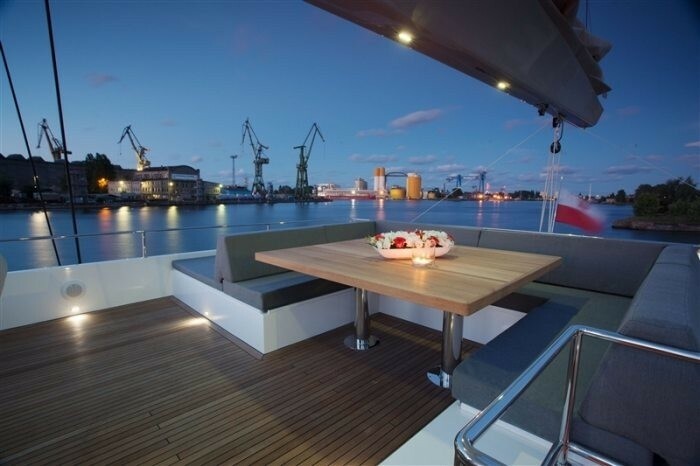 The large sun deck comprises the external helm station, wet bar, dining area and a huge sun pad, ideal for outdoor lounging in the sun. There is also an option to include a popular Spa Pool on the flybridge.